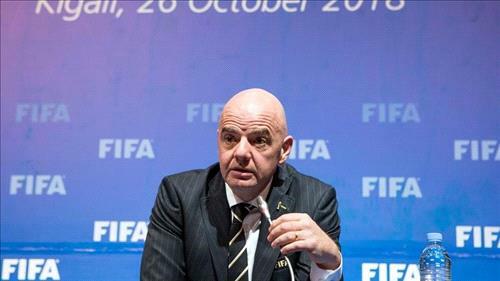 AMMONNEWS - FIFA President Gianni Infantino said on Wednesday that football’s governing body is looking into the possibility of increasing the number of teams at the 2022 World Cup and sharing the hosting rights of an expanded tournament with other nations in the region. Qatar, however, has been in dispute with several of its neighbours since June last year, with Saudi Arabia, Bahrain, the UAE and Egypt cutting diplomatic, transport and trade ties, accusing Doha of financing terrorism. Qatar rejects the charges.